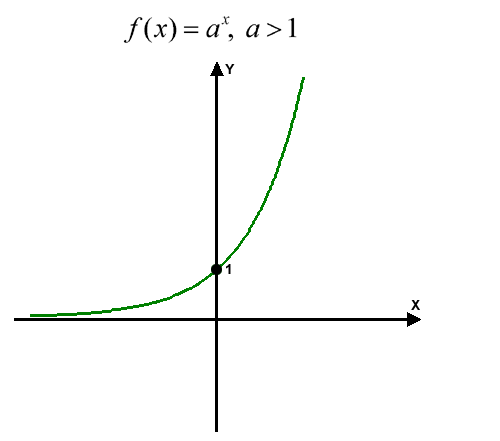 Observe that the entire graph lies above the \(x\)-axis, because the range of \(y=a^x\) is all positive reals. Again, the entire graph lies above the \(x\)-axis, since the range of \(y=a^x\) is all positive reals. When \(a>1,\) the graph strictly increases as \(x,\) and is concave up. When \(0<a<1,\) the graph strictly decreases as \(x,\) and is concave up. The graph lies above the \(x\)-axis. The graph has the \(x\)-axis as its horizontal asymptote. Its domain is all real numbers and its codomain is all positive real numbers. 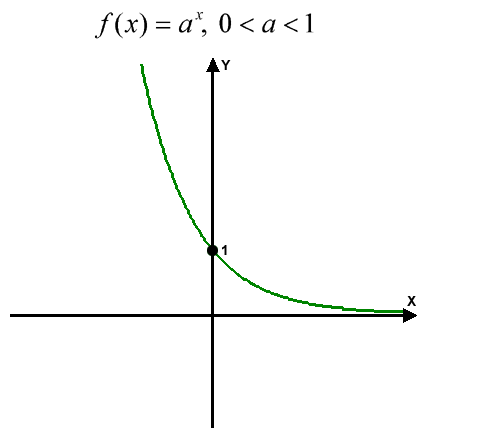 The asymptote of \(y=f(x)\) is the \(x\)-axis. Its domain is all real numbers and its codomain is all negative real numbers. 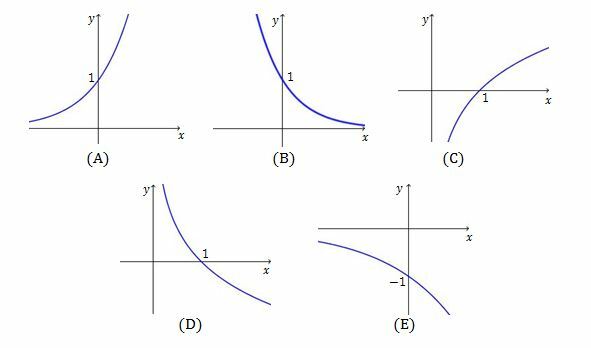 \(f(x)\) is a decreasing function.